Focus on these four areas where consistency affects growth. When Lee Greathouse and his son, Will, took a leap of faith and left a decades-old partnership to form their own landscape contracting business in Nashville, Tenn., they felt as if they were starting from square one. Today, The Greathouse Co. generates $5.3 million in annual revenue, which is a 62 percent increase compared to 2015. Their maintenance base has grown from $0 in 2014 to more than $700,000, adding cash flow stability and improving the firm’s value. Greathouse credits this rapid growth, in large part, to one indispensable factor: “I look at my recent history with my company and what we went through to get where we are today, and I absolutely believe we are where we are now because of consistency,” he says. 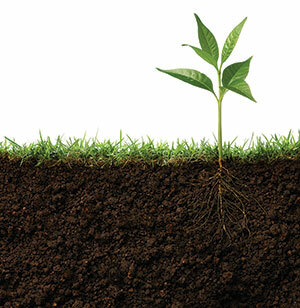 If you’ve been in the landscaping business for any length of time, you know the importance of the root system in plant life. Plant growth, like most natural processes, relies on order and consistency. So does the growth of a business. In fact, consistency can mean the difference between a business that withers and dies and one that flourishes in the face of internal and external factors, such as employee conflict and economic difficulties. the systems and processes you implement and use. 1. Vision It’s tempting to move in a new and exciting direction, especially in the age of rapidly evolving technology and trends, but if we don’t pay attention to the path we’re traveling on, we can end up feeling directionless or stalled. The vision you had in the early days of your business is no less important now than it was then. In fact, as time goes on and your business grows and evolves, adherence and attention to that vision become more important. The elements of that big-picture vision might change over time, but the core of it—the root so vital to the health and vitality of your business —should remain largely unchanged. “We’ve stuck to our original vision, but we’ve also learned to adapt and embrace the evolution of change at the same time,” Greathouse says. 2. Leadership Business consultant and author Warren Bennis may have said it best when he said, “Leadership is the capacity to translate vision into reality.” Not to be confused with management, leadership entails empowering employees to use their abilities, skill sets and experiences to strengthen a business. This requires you, as the top-line leader, to demonstrate fairness, impartiality and commitment to the growth and success of all employees. It also means consistently exhibiting the traits you wish to see and foster in employees and remaining true to your word, no matter the cost. When employees see that you’re reliably providing steady leadership and support, trust (the hallmark of any strong business) will increase. Steering employees back to the shared vision is equally important. exhibiting and encouraging candor, transparency and open communication between and among teams. One pleasant side effect of this attention to a consistent culture is you’ll attract and recruit the types of employees who bring the most value to your business. Additionally, Greathouse recommends encouraging and facilitating regular meetings between and among employees to ensure the lines of communication remain open and everyone is on the same page. 4. Systems and processes Two words should be posted somewhere readily visible in your office: scalability and replication. If the systems and processes in your business are unable to grow and evolve along with it, the infrastructure is in danger of collapsing. One way to ensure your business can handle growth is to implement consistent systems and processes that can be replicated easily, no matter how large the operation becomes. Consistent systems and processes also mean employees know what’s expected of them, and new employees joining the business receive equitable onboarding, training and resources. Greathouse says his company’s systems and processes were “pretty good” starting out, but he knew something was missing. As he and his employees discovered, consistent application of those systems and processes was the missing link that took them from feeling stalled to feeling excited about possibilities. attend to the scalability and replication of your systems and processes. Eisenhuth is a success coach for The Greathouse Co., a member of the LandOpt Network. Reach him at mike.eisenhuth@landopt.com.